Everyone is waiting for Apple iPhone 5S after the release of much sold iphone 5. It is expected that it may get released in June or July or may be around in August but it hasn’t yet been confirmed about its specs or release officially. But there are news and talks that are being circulated and according to them there would be A7 chip come with 5S and it is thought that it can be a quad core processor clocked at 1.2GHz and 2GB of RAM and power SGX554MP4 GPU. Some website also claims that it will be with faster Siri with other supportable additional language. If it is supposed that iphone 5S may come with 12 megapixel camera with improved low light performance and with other features. So it is now all going to be rumor things but at the if thought apple 5S could come like with above mentioned spec or much better or perhaps we might have to sad about its camera because it has been seen that Apple does not much increase its camera pixel size rather than other high megapixel camera of other mobiles. Even Apple iphone5 comes with 8mp. 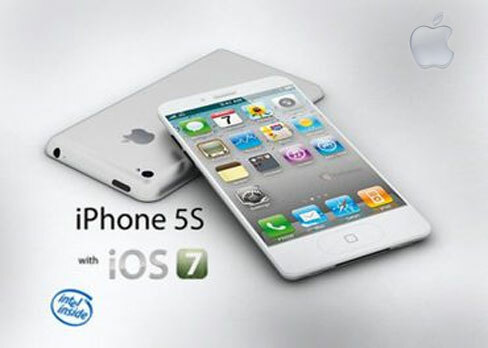 So let’s hope how iphone 5S will be coming out, till now wait.